The Texas Stars opened training camp Friday night and participated in their first official on-ice activities on Saturday afternoon. The morning was spent with physical testing, including fitness and concussion baseline tests. 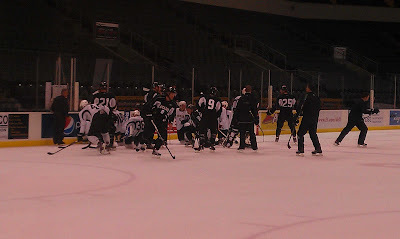 Saturday's afternoon practices were broken up into Team White and Black. Sunday, the two teams scrimmaged in the afternoon. It's tough to get huge sweeping impressions with just two practices and a scrimmage in the bank. The first two days were very pacey though. There were a lot of uptempo drills and drills to get the players' feet under them. "There wasn't a lot of structure [in the afternoon]," said veteran forward Colton Sceviour. "It was just a little bit of stuff to get your feet moving." "If someone wasn't in shape coming in," Francis Wathier added. "Now they know it." The overall atmosphere around the camp is far different than the feel the team had at the end of last year. Alex Chiasson agreed, "I think the atmosphere is so much different than the end of the year last year when I was here." My thoughts on various different players in camp, remembering that this is only based on two practices and a single scrimmage. Tyler Beskorowany - Team Black got outplayed heavily in the scrimmage, but won 1-0 anyways. The win was due to the superb goalie play of Beskorowany and Campbell. Beskorowany knows that he is really in a bind here to make the roster. Mathieu Tousignant - Back in the game after injury last year, playing physically and getting on Cam Barker's nerves in the scrimmage. Back to his standard modus operandi. Just a quick note that the Texas Stars were one of many teams to officially announce their training camp schedule today. The team will report on Friday, September 28th and first hit the ice on Saturday the 29th. A team practice on Monday, October 1st at 3:30 PM is open to the public. Fans are asked to park on the north side of the building and enter through the Northwest Plaza, where they will be directed to sit in one of several designated center ice sections. The Stars will play three exhibition games this preseason, as in previous years. Some teams were not scheduled to have any preseason games while others have as many as four. Two of the Stars games will be at home while the third and final game will be in San Antonio. As in previous years, the Idaho Steelheads and Allen Americans coaching staffs are expected to join the Stars' Willie Desjardins and Doug Lidster in Austin for some portion of the camp. Many of those in camp will be sent down to Idaho or Allen throughout the course of the week and a half. Unlike previous years, however, the likelihood of seeing Dallas GM Joe Nieuwendyk, Coach Glen Gulutzan or others from the Dallas staff is far higher due to the lockout. Nieuwendyk expects to be present for many Texas Stars games for the duration of the lockout. With the expiration of the CBA, the AHL season just got a whole lot more interesting. The Texas Stars roster outlook that we did just two weeks ago is now completely out the window, not to mention the major changes around Texas's South Division. The Stars play 44 of their 76 games against the South Division, which just went from good to great with the assignment of several solid NHL players to their AHL affiliates. 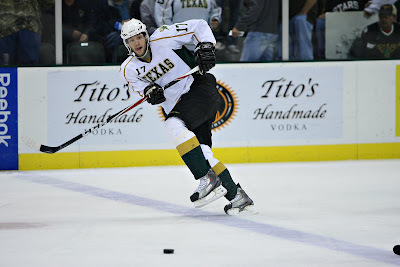 Let's breakdown the lockout's impact on each of the teams in the South Division, starting with the Texas Stars. UPDATE: The NHL has now officially cancelled all preseason games through September 30th, including both games mentioned in this article. As the 2005 NHL Collective Bargaining Agreement expired over the weekend and the NHL locked out their players, hopes of NHL hockey in Boise, Idaho, and San Antonio, Texas died a quiet death. Both cities were scheduled to host Dallas Stars preseason games in the next ten days. "As of Tuesday night, the [Idaho] game has not been cancelled, but it seems inevitable," said Will Hoenike, Director of Media and Community Relations for the Steelheads. The Stars' September 25th tilt against the newly-retooled Minnesota Wild at CenturyLink Arena in Boise was set to be the crown jewel of Dallas's training camp stay in Idaho. This was scheduled to be the Stars' first trip to the Gem State, after visiting Charlottetown, Prince Edward Island, Canada, for the last two training camps. Dallas has affiliated with Idaho for all but one of Steelheads' years in the ECHL (2004-05). As of Monday, the Steelheads had posted contingency plans for ticket refunds to their Facebook page. Links to the box office site to buy tickets for the game had been removed from the web by Tuesday night as well. The team had already sold 4,300 tickets for the game and sold out all of the arena's suites long ago. Only 700 seats remained for the game, which were expected to sell very quickly once the Stars arrived and buzz for the game reached a fever pitch. With possibly overflow seating, the potential was there for this to be the biggest hockey game in Idaho history. "Our fans are disappointed about losing this game," said Hoenike. "Kids growing up in Caldwell, Idaho, are not often going to have the chance to stand next to an NHL legend like Jaromir Jagr, but that's what they had here. The fans know it's not the Stars' fault, but it's still disappointing." Meanwhile, San Antonio's NHL preseason prospects are in similarly dire straits. While there has yet to be a public mention of refund contingency plans from the Rampage, the September 28th game against the Florida Panthers had been removed from Ticketmaster as of yesterday. The loss of the game is also disappointing to the Rampage. After posting their first playoff series victory in team history last season, the Rampage were on the up-and-up. Thanks to Dale Tallon's cunning draft and player selection strategies, the prospect pool in the Alamo City is getting deeper. The commitment that Tallon had to the Rampage was evident when he was willing to make a trade for Jon Matsumoto last season. The trade, which had no effect on the parent club, was made purely to improve the minor league club. "Runnin' with the Herd" called the trade the most impactful in the history of the team. Overall, this is just another one of the many impacts of the lockout. The NHL has not officially started cancelling regular season games, but that should be expected in the next week or so. Once again, the fans, and the game overall, are the hardest hit. Dallas Stars Assign 26 to Texas Stars Ahead of Lockout, Who's Going to Idaho? With the lockout now imminent, the Dallas Stars and many other NHL clubs assigned a large number of players to their AHL affiliates today. Dallas assigned twenty-six. Notables in the list that Texas may not have seen if not for the lockout include Cody Eakin, Tomas Vincour, and Brenden Dillon. You'll note that hockey clubs are usually a 23-man roster and there were 26 players just assigned. Also, you have to add in Texas's players: Mike Hedden, John Ryder and Josh Robinson. Some of these guys are going to Idaho. My best guess on who is going to Idaho from these assignees and Texas's signed players would be D John Ryder, G Josh Robinson, G Tyler Beskorowany , D Jace Coyle, D Hubert Labrie, and either F Mathieu Tousignant or F Antoine Roussell. Don't count out that some of these players could also go to Allen, where they would be closer to Texas for callups and closer to Dallas Stars HQ in Frisco for observation. Additionally, the AHL tweeted today: "In event of lockout, @TheAHL clubs may sign locked out NHL-contracted players who finished 11-12 in AHL or who were on 2012 Clear Day list." This appears to apply to players who are on one-way contracts, essentially, and were in the AHL or on Clear Day rosters at the end of last year. Dallas does not have any players who fit that mold. Philip Larsen and Ryan Garbutt both earned new contracts and could have been candidate to slide down, but Texas did not placed either player on the Clear Day roster. That decision made perfect sense and still does. And, breaking your hearts, the door has now closed on the fairy tale scenario that many had hoped for. Jamie Benn is not eligible to play in the AHL due to the above rules. To me, that makes sense since it would be an arms race otherwise and the league would no longer be developmental. The Dallas Stars announced today that 26 players have been assigned to the Texas Stars, Dallas’ affiliate in the American Hockey League (AHL). The club also announced that five players have been assigned to their respective Junior club teams. Just a short note, but the Dallas Stars had a few players placed on waivers Wednesday. These players were placed on waivers so they can play with the Texas Stars during the anticipated NHL lockout. Usually these waiver placements would happen during training camp. However, since that is unlikely to happen on time this year, most teams are placing players who are expected to play in the AHL this season on waivers now ahead of the CBA expiration on Saturday. Remember that this is not a complete list of Dallas players expected to play in Austin. These are only players that would have to clear waivers. Wikipedia actually has a pretty good explanation of NHL waivers. In general, players don't have to go through waivers until they've played three professional seasons. TSN has a complete list of all players on waivers. 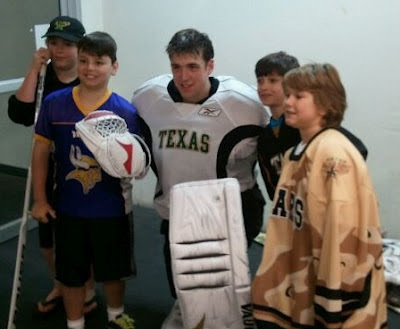 The Stars have recently partnered with the Chaparral Ice to open up more ice time for the Austin hockey community. Now they are working with amateur league players, both youth and adult, to lower league fees for players. Every player and family in the hockey community (this means you too, Men’s League) will have an opportunity to sell tickets to the Texas Stars Regular Season Home Opener on Sunday, October 14th @ 7 P.M. A portion of each ticket you sell will go directly to paying your hockey fees this season. In return for your efforts, not only will you get money back, but we will be hosting a huge BBQ/tailgate in the parking lot before the game. There are prizes to be won for everyone! So, in summary, the Texas Stars are offering to help lower your or your child's hockey league fees and all you have to do is sell some tickets to the season opener. For more informaiton on selling tickets to benefit your league fees, contact Texas Stars Account Executive Amin Elaguizy via email or phone (512.600.5007). Currently down to just one public ice sheet, the Austin area will be doubling its hockey capacity this winter thanks to Jamie Matthews and the Pond Hockey Club. 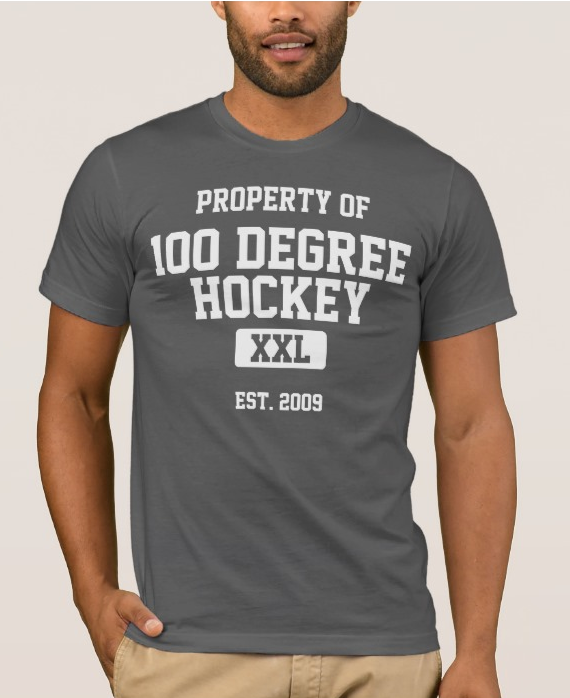 Just a few minutes north of the Chaparral Ice facility at Northcross, the Pond Hockey Club should be opening a 140 foot by 70 foot ice sheet in the December/January timeframe. "We Were Addicted to Hockey"
The journey to open the facility started with a trip to Colorado for the Matthews family. "About a year and half ago we were on vacation in Colorado and went to the local rink, [my son] saw the kids out on the ice tearing it up and he said, 'Dad, I want to do that.'" After returning to Austin, the entire family became engulfed in hockey. All three kids and Jamie himself learned to play the sport at the Chaparral Ice in town. The family even picked up a season ticket package to the Texas Stars. "Our middle daughter actually scored her first goal during the intermission at a Stars game." But then, last spring, the closure of the Chaparral Ice facility on I-35 brought the number of available ice sheets in town from three to just one. "We started hearing the rumors about Chap closing just as we were getting addicted to hockey." On travel team trip to Dallas, Matthews and a group of parents visited the Hockey Ambitions training facility in Frisco, Texas. Hockey Ambitions features a 120 foot by 60 foot rink and focuses their facility on training and skills-building. The parents agreed, "Why can't we have this in Austin?" As you may know, a typical regulation ice sheet measures 200 feet by 85 feet. A pond hockey rink shrinks the neutral zone and maintains the size of the attacking zones to maximize the attacking ice time. Also, typically, hockey games on pond hockey sheets are only played 3-on-3 with a goalie or 4-on-4 without goalies. According to Matthews, these changes allow the average player ten times the number of shots per game and three times as much ice time per hour. "I know a lot of players who play as much as they can and can't practice," said Matthews. "They can't make it to stick and puck at lunch time and that's not Chaparral's fault. I'd like the beer league players at Chaparral to see our rink as an opportunity to [build their skills and] move up a league, eventually." 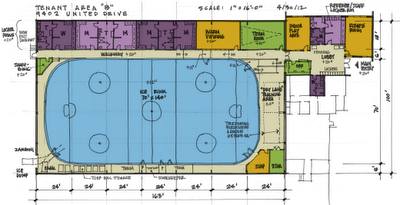 Site layout for the Pond Hockey Club. Click to enlarge. In addition to the player benefits of the smaller sheet, the initial construction costs are not as high either. 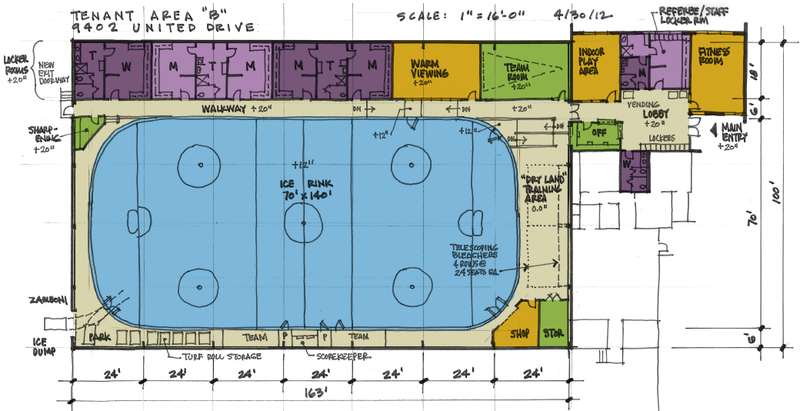 A two-thirds size rink is half the cost of a full size sheet. The group has first-rights on the adjacent building, allowing them to expand and build a full sheet in the future if their initial project is successful. The rink will also offer skate sharpening and a vending machine for hockey staples like laces and tape. In addition to 3-on-3 with goalies and 4-on-4 without, the group is looking to get creative with their offerings. "We're trying to follow Chaparral's advice on what leagues they would offer if they could, but they just don't have the ice time." For example, the group is trying to add a women's league and an over-50 league to the mix. A mixed skill league is expected in addition to A/B1 and B2/C leagues. Matthews says they'll start there, but "I'm a big believer in letting the players tell us what makes the best facility and leagues." Pond hockey games are expected to run two 25-minute halves with a running clock. Due to the smaller ice and few players, these are often high scoring affairs. "One of the games I saw in Frisco was 11-9 just 15 minutes in." The games will likely feature a single referee and scorekeeper and a predictable schedule. "The league will be predictable so people can block out their schedule. For example, you'll have games on Tuesdays and Thursdays every week at 7:00 or 8:30." Originally scheduled to open in August, the facility has had a few delays thanks to zoning change and permit requests at the city of Austin. "We are in the waiting line at the city of Austin for our permits. What is normally a 4-6 week process is now a 4-6 month process. Our original opening date was August 15th. Builders are estimating a 3 month buildout, which will put us in December to January." The group is taking a long-term view of the plan though, which helps to keep their frustration about delays in check. "It's frustrating, but three years from now it won't matter that it took an extra four months to launch. We just need more ice." "I'm excited for ten years from now, if we did have 8 sheets of ice in Austin. If you're on a travel team, you're not travelling to Dallas, you're travelling across Austin. If they can make it work in Dallas, we can make it work on a smaller scale here in Austin." Keep up with the Pond Hockey Club's progress at pondhockeyclub.com.